Subscription e-book service Oyster launched a retail component Wednesday. When Oyster launched in 2013, it claimed to be the e-book version of Netflix, offering customers an all-you-can-read lending library of around 100,000 books for a monthly subscription of $9.95. A year and a half later, the company seems to have realized that a buffet of sometimes unheard of books isn’t exactly what consumers are looking for. So in an attempt to bring the latest and greatest titles to readers, the company now plans to secure its foothold in the e-book market with the launch of a retail component aimed to compete with Amazon, Apple and other online booksellers. 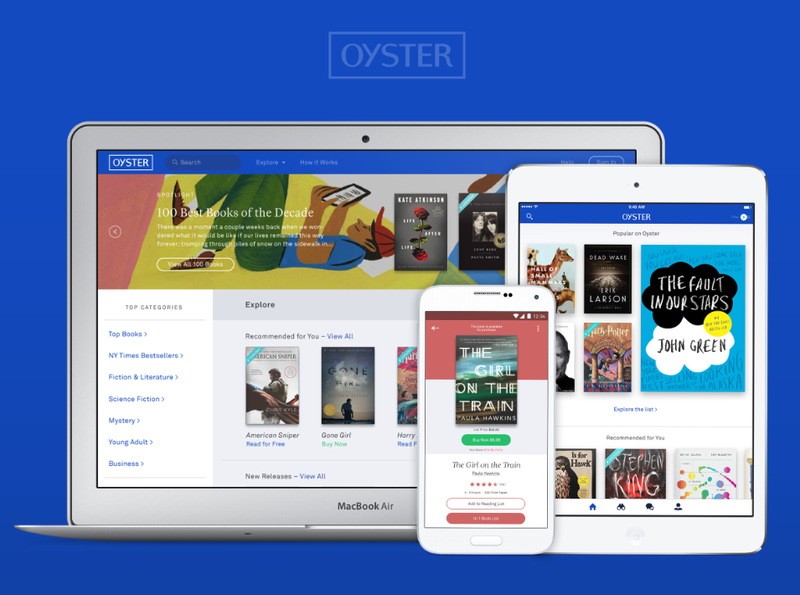 New York-based Oyster announced the expansion Wednesday, saying it has inked deals to sell work from five of the largest book publishers including Hachette, HarperCollins, Macmillan, Penguin Random House, and Simon & Schuster. The new retail store aims to allow consumers – including those without an Oyster subscription – to choose from what the company says is more than a million of competitively priced books. Oyster’s move to include a retail option seemed inevitable from the start. In fact, fellow subscription-based operators like Scribd have offered books for retail for several years. Shortly after the Oyster launched, questions began swirling as to whether or not consumers would find the need for a subscription book service that might not offer the newest and biggest literary titles. The biggest roadblock for Oyster’s subscription service was – and continues to be – a lack of selection and variety. According to Bloomberg, the service currently doesn’t offer any of the top 10 New York Times fiction best-sellers and has only two of the top 10 nonfiction best-sellers. Additionally, the company just recently gained access to the entire Harry Potter series. Opening a retail function could prove to be a step in the right direction for Oyster and its subscription service. Already, the company has made strides outpacing those at the beginning of its subscription service by nabbing deals with Hachette and Random House – two publishers that still don’t currently offer titles through the Oyster’s subscription service. Still, it remains to be seen whether or not Oyster’s rather low profile will be able to penetrate the stronghold Amazon currently has on the e-book market.